Hobart Institute of Welding Technology (HIWT) is a nonprofit institution dedicated to welding training and education excellence. 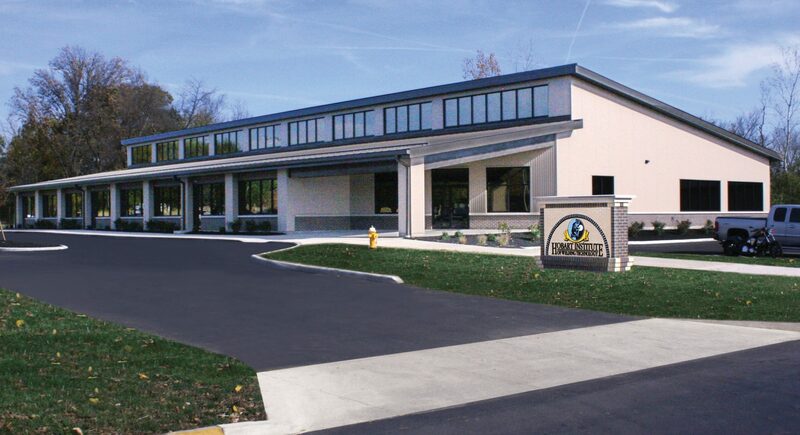 The Institute is located in Troy, OH and housed in two buildings spanning a 12 acre campus. The main building is nearly 122,000 square feet while the north campus, also known as the technical center, is just over 16,000 square feet. HIWT features 345 weld stations on campus and 18 air conditioned classrooms.HIWT is fully accredited through the Accrediting Commission of Career Schools and Colleges which is listed by the Department of Education as a nationally recognized accrediting agency. Students, who are eligible, may participate in Title IV Funding, as well as Veterans Benefits. HIWT is also accredited by the American Welding Society (QC4) to perform qualification of welders in accordance with the American Welding Society QC-7 certificate program. Hobart Institute of Welding Technology offers Welding Skill Training which is designed to educate the student on modern welding practices and manipulative skills in all major arc welding processes. HIWT offers two skill training programs that start every four weeks, with the exception of Christmas break, and offer two skill training programs. Program 1 is the Combination Structural and Pipe Welding Program which is a 38 week 1330 clock hour program. Both programs offer students the opportunity to earn AWS®-QC7 National Welding Certifications during the hours of the applicable course study. Students from all over the world come to Troy, Ohio to learn the art of welding. While many of the students come right from high schools or career centers, the Institute has a relatively large population of military veterans and career shifters. The skilled welding instructors, many of them veterans, offer assistance not just in welding but in the adjustment to civilian life after military separation. The school offers a full service Career Services office that assists students in resume writing and interview preparation as well as holds job fairs, operates an online job board and assists students with Skype interviews for companies that are located out of the area. Graduates from the Welding Skill Training Programs obtain employment in many of the high demand areas such as aerospace, structural, pipeline, automotive, ship building, fabrication and union labor. Technical Training at Hobart Institute of Welding Technology offers the opportunity for those who have been working in the welding industry to take additional certifications and/or individual classes. AWS® Certified Welding Inspector, Certified Welding Educator, Certified Welding Supervisor preparation, recertification and code classes can be taken in state of the art classrooms. Additionally, classes are offered in Arc Welding Inspection, Liquid Penetrant and Magnetic Particle Inspection, Visual Inspection as well as the popular Welding for the Non Welder Class, which offers non-welders the opportunity for classroom and hands on training in the basics of GMAW, GTAW, SMAW and Oxyacetylene Welding and Cutting. In House Specialized Training in fields such as Tool & Die and Aerospace as well as programs designed to meet the specific objectives of individual customers are taught in the Technical Training Center. HIWT also offers companies the opportunity to have one of our trained instructors travel to their location to provide in plant training in existing welding processes and applications. Hobart Institute of Welding Technology is an Accredited Test Facility for the American Welding Society and offers Procedure and Performance Qualifications as well as AWS® QC7 National Welder Certification. 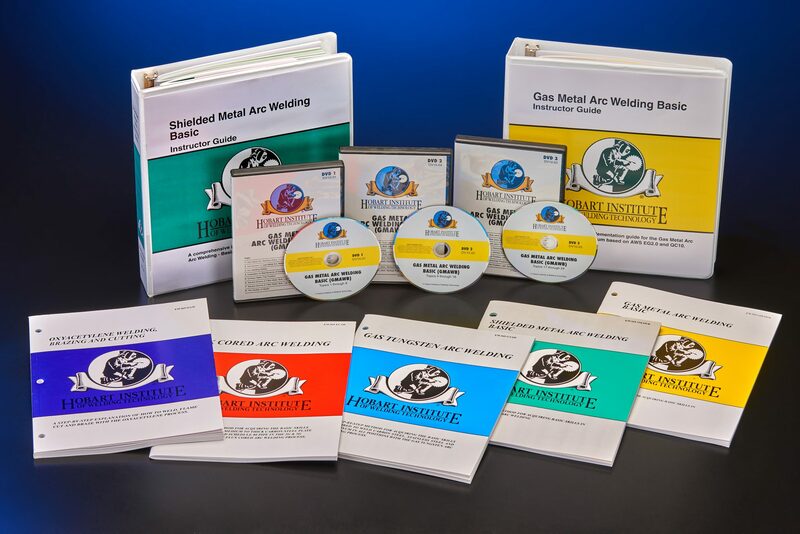 HIWT has a complete online bookstore offering complete DVD courses and training materials. Hobart Institute of Welding Technology offers world-class curriculum on all major arc welding processes based on AWS® Entry Level SENSE Criteria (QC10 and EG 2.0). Complete training programs included DVDs, instructor guides and student workbooks. Designed with input from instructors, video modules present core information and model proper technique so students can work independently with aid of their workbook and coaching from their instructor. In response to requests to place DVD’s on company and school intranets, a site license can be purchased. 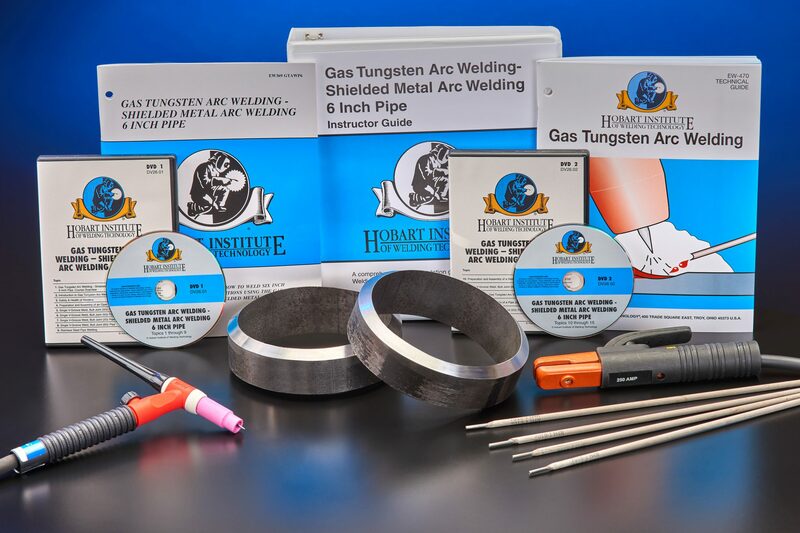 HIWT offers Welding Training Material guides and books covering a wide range of topics in all major arc welding processes, inspection, pipe welding and pipe layout. Complete with photos, diagrams or charts, these books provide exceptional detail. The bookstore also offers various posters, calculators and gauges to help welders of all levels.